Several Cedar Grove Saints FCCLA members were chosen as Cedar Grove High School student ambassadors for their Leadership Atlanta’s Education Day. The visit was held on Thursday, January 10, 2019. Leadership Atlanta is the oldest sustained community leadership program in the nation. Leaders shadowed Cedar Grove High School student ambassadors in order to experience the school day through the lens of students in DeKalb County. Cedar Grove Saints FCCLA President Madison High had the pleasure of being an ambassador to the Atlanta Public Schools (APS) superintendent, Dr. Meria J. Carstarphen. 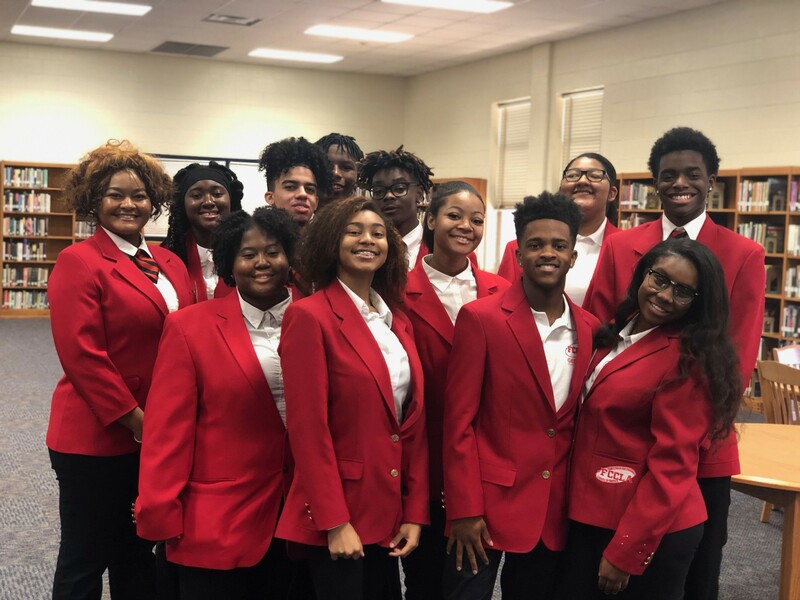 FCCLA members had the opportunity to network with 28 leaders from Metro Atlanta that included School Superintendents, CEOs, Judges, Lawyers, Professors, and Executive Directors, and Bank Presidents.